Change things up and add some spice to your next meal! 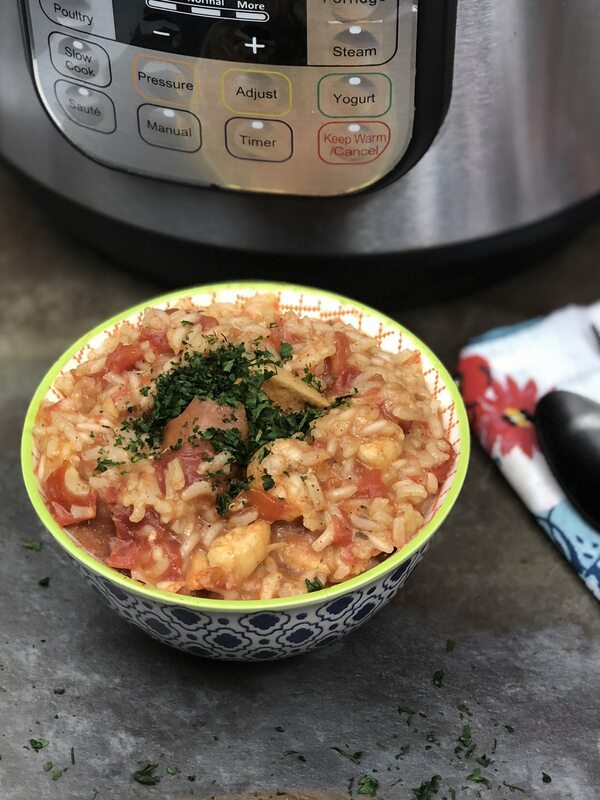 This Instant Pot Jambalaya is a mix of andouille sausage, fresh shrimp, and chicken with a mix of rice and Cajun seasonings that will make your mouth water. A one-pot meal that takes no time, and leaves your family reaching for seconds, and maybe even thirds. 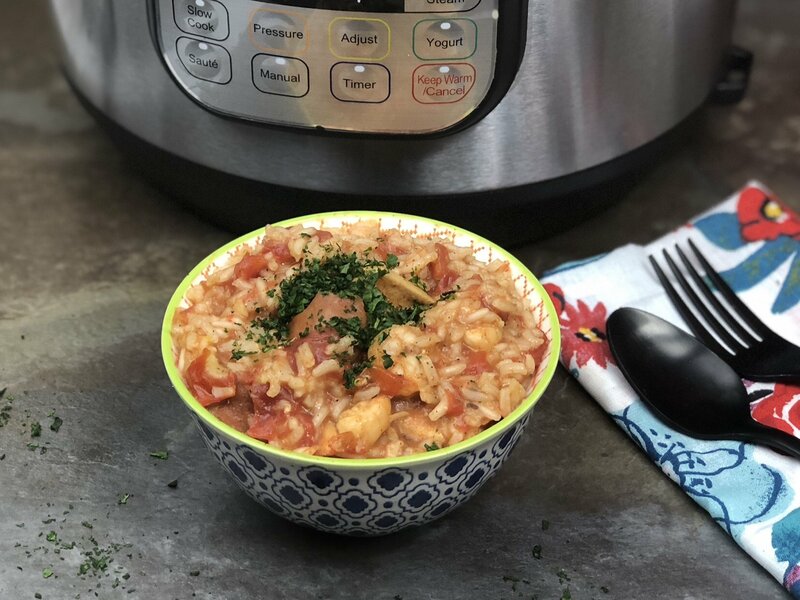 This Instant Pot Jambalaya recipe is not only a cinch to make, but so filling. If you find you have leftovers it reheats great so you can take for lunch the next day. 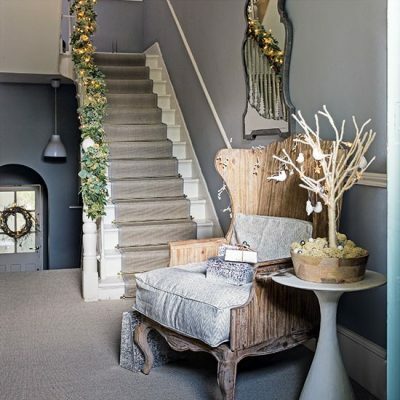 New Orleans is famous for Creole and Cajun flavors, and music on every corner, and just endless fun. In that, they also serve up some amazing food that is unlike any other state on the planet. From beignets to crawfish, and all things in between, they will amaze you with the rich and decadent flavors. Now, one dish that you have to try if you ever go is Jambalaya, trust me you will be glad you did. If you have no plans to go to New Orleans anytime soon, try out my recipe. You get those cajun flavors without having to leave the comfort of your home. The Instant Pot cooks the rice perfectly, so every bite you get loads of flavor from the rice, seasonings, and the triple meat you use. The end result was amazing, not to toot my own horn, but my Instant Pot Jambalaya tasted like something right out of a restaurant. My oldest loved it and wants to learn how to make it. So the next time I made this, I had them help me in the kitchen, and even they said how easy this was to make. If you own an Instant Pot you know it is all about just tossing in ingredients and choosing your settings and letting your electric pressure cooker do all the work. That is the most amazing thing, and why I am always sharing Instant Pot recipes. I want cooking to be fun and tasty, and so easy that my kids can easily make hearty dishes like this jambalaya recipe. Take your diced up chicken, shrimp, and sausage and put in the Instant Pot. Next just sprinkle with half the mix of the seasonings, and cook for about 5 minutes and then take out and set aside. Then toss in your peppers, celery, and garlic with the rest of the seasonings. Saute for a minute or two, and then toss in all the ingredients. Then turn to manual high pressure and cook for 15 minutes with a 10-minute natural release after that. It will give you a perfectly cooked jambalaya to serve your family. Now you do not have to use all three types of meat in this dish. While it adds layers of flavor, you can make with just one or two meats if you don’t want all three. 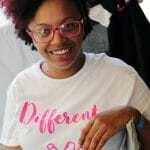 If you can’t find Bay seasoning you can replace with Creole seasoning and get similar flavors. Depending on where you live will depend on what spices are available. But you can always order Bay seasoning online if you can’t find it at your local stores. As to what makes for a great side dish for instant pot jambalaya, I always like cornbread or even a side salad as a side. Change things up and add some spice to your next meal! 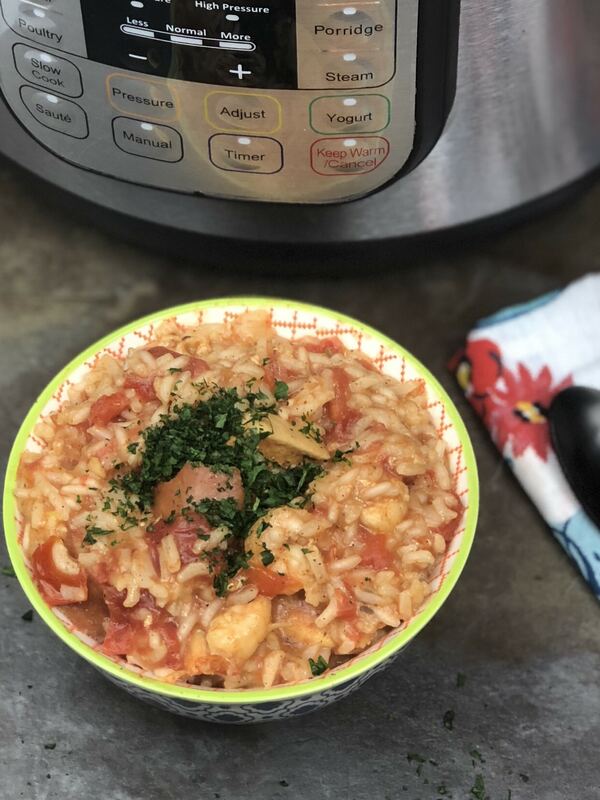 This Instant Pot Jambalaya is a mix of andouille sausage, fresh shrimp, and chicken with a mix of rice and Cajun seasonings that will make your mouth water. A one-pot meal that takes no time, and leaves your family reaching for seconds, and maybe even thirds. 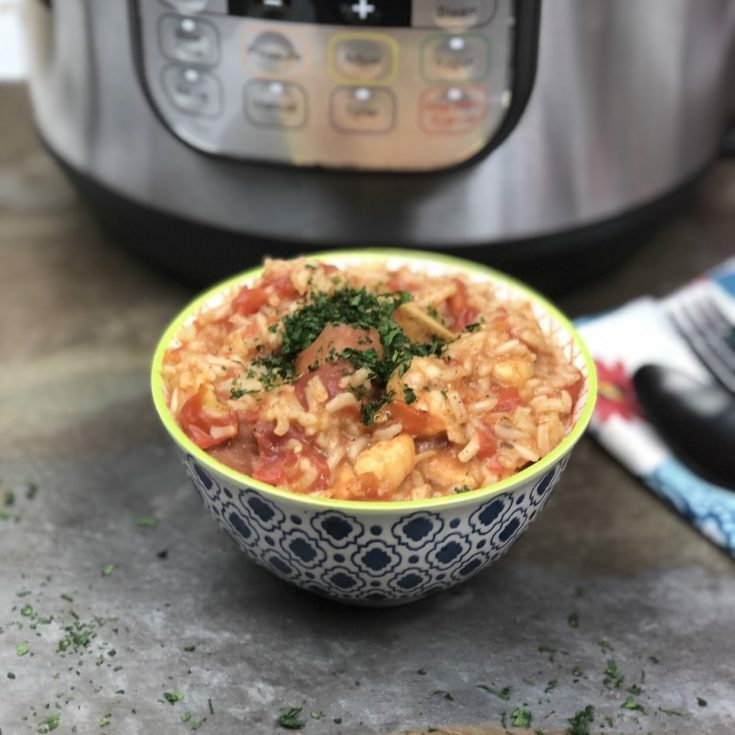 This Instant Pot Jambalaya recipe is not only a cinch to make, but so filling. If you find you have leftovers it reheats great so you can take for lunch the next day. Press saute and add chicken, sausage & shrimp. 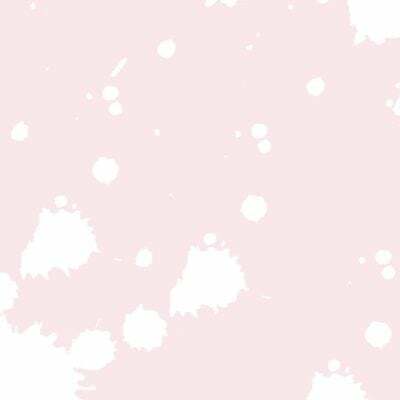 Sprinkle meats with half of the Bay seasoning, thyme and paprika. Cook for 3 - 5 mins, stirring frequently. Add garlic, peppers, and celery with remaining bay seasoning, thyme & paprika. Cook 1 - 2 mins. Combine meats, rice, tomatoes and broth secure cover & bring to high pressure. Press rice button, make sure it is set at 12 minutes, NR for 10 minutes release remaining pressure. Turn off your pot and allow to sit with the lid on for 5 minutes.